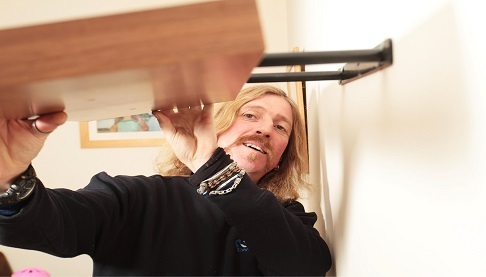 If you’re a walking DIY disaster, hopeless with a hammer or just can’t manage with only one pair of hands, don’t despair because our Handyperson is ready to help – and his time is free to our tenants. Our multi-talented Handyperson can help out with some basic chores around your home and garden. Contact our Customer Service team by email or call them with your requirements and they’ll tell you if you qualify for our Handyperson’s help. If your requirements fall outside the scope of our free Handyperson service, you might like to consider upgrading to Handyperson Plus where, in return for a modest fee, you can benefit from a wider range of skills. There is a useful Handyperson services leaflet in the ‘Library’ that explains the Handyperson and Handyperson Plus service in more detail.